Home BlogCA Prop 65, Legislation! What prompted the need for Prop65? Proposition 65, which is officially called the Act of Safe Drinking Water and Toxic enforcement, was first enacted as a part of the ballot initiative in the year 1986. This proposition was designed to protect the sources of drinking water in the State, such that they are safe and are not contaminated with the deadly carcinogenic chemicals that are likely to cause reproductive ailments and birth defects. This enforcement also requires the various businesses to inform and educate the Californians about the exposure to such chemicals. In such situations, businesses should reach out to the right companies that will provide value with regard to the proposition 65 compliance services. The agencies providing these services will assist in the certification as well as the implementation of the process of compliance assurance. And what is the impact if businesses do not comply? The enforcement of this law is carried forward with the civil lawsuits that are posed against the violators. These suits can either be brought by the Attorney General of California or any district or city attorney. Private parties too can bring these lawsuits but they can do so only after they provide a proper notice about the alleged violation. According to this regulation, if any product (including both your food and supplement) which is sold in California comes with chemical substances that has been listed in the list of Prop 65 as a chemical that is likely to cause reproductive ailment or cancer, a warning is issued on the product. This warning becomes even more relevant when the chemical exposure is found to be above the level of average safe harbor. A business charged with violating this policy can be subjected to civil penalties rising up to $2500 every day, for each specific violation. On failing to comply with these regulations, your company will be issued a non-compliance notice of two months (also known as the notice of Violation), which again might lead to a court settlement, if an outside settlement is not worked upon. The fees of settlement can cause your company to lose a staggering sum of ten thousand to hundred thousand dollars. As a result, you cannot ignore complying with this specific regulation. Businesses can conduct supply chain analysis which will indicate the areas that require attention. 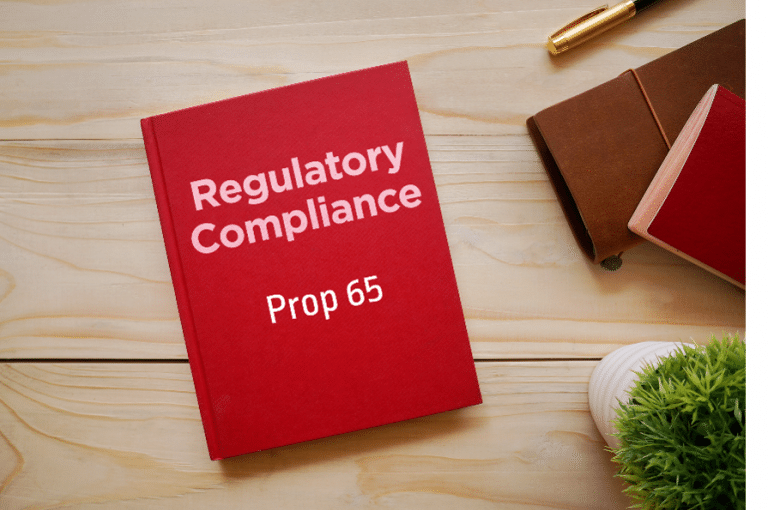 Proper analysis and screening for the chemicals used in formulating the products should be conducted, and businesses can consider outsourcing for California Prop 65 compliance. Businesses should conduct analysis and screening for the chemicals used in formulating the products. Proper strategies with regard to compliance should be incorporated. Companies should prepare positional statements with regard to the prop 65 guidelines. Exposure assessments should be conducted for evaluating whether the product is well complaint with the given regulations and whether it might require a warning. Follow these guidelines for proper and consistent prop 65 compliance management and for hassle free legal proceedings associated with it.